Program Overview: PicViewPlus is a picture file browser with a large number of features. Evaluation Version Limitations: Purchase reminder notices appear after 30 days. Picture Set Selection: Begin by selecting a folder of picture files. Picture Ordering: Pictures may be sorted by picture file name or date. They may also be sorted randomly. By bringing up the "Thumbnail Views" window, you can move the pictures around, customizing the display order. Size & Positioning: The selected picture is scaled to fit the full picture area when first displayed. The PicViewPlus application window may be sized to suit your preference (e.g., it may be maximized to fill the entire screen). And of course it may be moved to any convenient position on your display screen. Picture Selection: Picture advancement is done via screen buttons or the keyboard, which trigger display of the Next, Previous, First, or Last picture. Buttons First and Previous also allow you to choose movements of 1 to 10 pictures. You may also go to any arbitrary picture by clicking on its thumbnail. Finally, you may search for a picture by the text contained within it. Pan & Zoom: To zoom into a particular area of the picture, use the mouse to left-click the center of that area, or drag a zoom box. To zoom out, use the mouse to shift-left-click the zoom out point. To pan, control-left-click the point you want to become the center of the picture. Zooms and pans may also be done with the keyboard. Orientation Changes: The picture may be rotated clockwise, counterclockwise, flipped vertically, or flipped horizontally. Picture Information: Unlike other picture display programs, PicViewPlus has exceptional capability when it comes to reading a picture's internal information consisting of EXIF tags. (Applies to TIF, PNG, or JPG picture files.) Virtually every single piece of information is displayed, even Global Positioning System data! But for the average user, the tags of importance are such tags as Picture Description, Photographer, and User Comment. Almost no picture display program allows you to enter or edit text in these tags, but PicViewPlus not only allows it, but provides the ability to easily enter repetitive data (e.g., copy the tag data from the last picture viewed). Captioning: The picture captioning ability of most picture display programs ranges from none to crude. PicViewPlus makes it very easy to add flexible captioning. Most caption text comes from the picture file's EXIF tag data. You have the ability to select which tag data to include within a caption block, e.g., Picture Description. Furthermore, you have the ability to specify the size, color, font, and effects of each caption line. This caption block can be superimposed over the picture at the top-center, bottom-center, top-left, and bottom-left. You can also select a custom area of the picture where the caption should be shown. For those who don't want any part of their picture covered by a caption, the caption text block can appear within its own scrolling window above the picture or below the picture. The caption display can also be temporarily hidden so as not to obscure the picture. Slide Show: A timed slide show begins when checkbox Picture Timer is checked. The length of time a picture shows, as well as whether the pictures repeat, can both be specified. Sound/Audio: A sound file can play while its associated picture is being displayed. To do this, the sound file and the picture file should share the same name (they will of course have different file types). For example, a picture directory might contain files MOUNTAIN.JPG and MOUNTAIN.WAV. One or more background sound files can also be specified. Any sound file name that doesn't match a picture name becomes a background sound file. A picture sound file will override a background sound file, pausing it. Transition Effects: A variety of transition effects are available for transitioning from one picture to another. Wallpaper: There are times when the picture doesn't exactly cover the available display area. You may visually select the background "wallpaper" that will cover this area. Furthermore, you may select the wallpaper that serves as a background to the caption box. Simulated Frames: To enhance the visual appeal of your pictures, you may visually select from among dozens of simulated picture frames. You may also choose the thickness of the picture frames. You may choose to have the selected frame appear on all displayed pictures by default, or a frame may be attached to a particular picture so that it will always display with that picture. Printing: PicViewPlus has one of the most flexible printing schemes available in slide show programs. Select from among 20 page templates. Then simply click the template box where the currently displayed picture is to go. Fill all or some of the boxes. You see the displayed picture sized to the template box. When you click a box, you have the option of selecting the picture rotation. You can also choose if the ends should be clipped for a maximum size fit. Finally, you may choose to have each picture printed with or without it's caption, and with or without it's picture frame. PicViewPlus contains a huge set of features, and yet is very easy to use. Its strengths are its extensive EXIF data along with the ability to edit it, and its picture captioning ability. Its implementation of sound files and picture frames only enhance picture enjoyment. Program Overview: ACDSee is one of the most sophisticated picture display and editing programs available. It also includes a number of associated tools. Evaluation Version Limitations: 30-day trial. To view a picture, first select a folder, then a thumbnail within that folder. A preview of the picture will then be displayed. If you double-click the thumbnail, the picture will be shown in a large "Viewer" window. Size & Positioning: The ACDSee Browser and Viewer windows can be resized and moved, and the individual panes of the Browser window can be resized. Picture Ordering: Picture ordering abilities (under Sort) are extensive: by name, type, date, size, properties, description, or custom (move thumbnails). Automatic sorts can be done in forward or reverse order. Picture Selection: Icons Next and Previous handle picture advancement. But to go to the first or last picture, you need to go to the keyboard: key Home takes you to the first picture, and key End to the last one. There is no way to skip forward/backward several pictures. To jump to a random picture, you have to close the Viewer window and double-click on another thumbnail. You can search for pictures by the properties they contain. Property sets that can be searched are ACD Database, EXIF tag data, File Properties, Image Attributes, and Multimedia Attributes. Instead of "contains", other relationships available are "is", "is not", "is any of", and "starts with". When multiple search expression are used, a match is obtained only when all of the expressions match. Pan & Zoom: The Zoom-In and Zoom-Out icons always reference the picture center. The Zoom Tool icon lets you zoom to a specific point. However, after the zoom, that point doesn't end up at the center of the screen unless you are at a high zoom factor - which can be confusing. The Scroll-Tool, represented by a "hand" icon, lets you pan a zoomed picture. There is no way to pan a picture so that a clicked point becomes the center of the displayed picture. There is no way to zoom out using the mouse. There is a rectangular zoom. To use it, you first click on the Select-Tool, then drag the mouse to create a rectangular box, then click within this box. All pan and zoom operations have keyboard equivalents (e.g., "*" fits the picture to the display window). Orientation Changes: You can rotate clockwise, counterclockwise, and flip vertically or horizontally. Slide Show: Selecting menu item "View | Slide Show..." brings up another form where you specify transition effects, image display time, display order, and Header and Footer Text. (It's strange that the Header and Footer text already attached to a picture can't be used - you have to separately enter it again.) Clicking OK to this window then runs the full-screen slide show. It's only controls are Next, Previous, Select-a-picture, Pause, and Resume. There is no zoom or pan. Picture Information: Select a picture and click on its Properties icon. There are three sets of properties: Database, File, and EXIF. The EXIF information is outstanding in it's completeness and accuracy - even the EXIF Maker Note is accurately decoded. Unlike virtually all other similar programs, you can enter and edit tags Image Description, Artist, Copyright, and User Comment. The only drawback is that you can't enter multi-line data, which is so important in tag Image Description. There is a complete list of File Properties, with the exception of NTFS file summary information, which helps characterize the file content. ACDSee also shows Database Properties, which includes things such as Caption, Notes, Keywords, and Categories. Captioning: You also can overlay each picture with textual information consisting of a "Header" and a "Footer". Each may consist of multiple lines. Each may have a specified colored background. The text font, color, and size may be specified in each. These font characteristics apply to all lines in the Header or Footer. At any place in the captioning, you can insert metadata, such as the EXIF Image Description tag, or the size of the file. The implementation appears very well done. There is no way to place any of this caption text outside the picture, so that it doesn't obscure part of the picture. No other program except PicViewPlus allows this flexibility in captioning. Transition Effects: There are 12 selectable transition effects, accessible under menu selection View | Slide Show. But they are only active in "Slide Show" mode, and they take place so fast you almost don't notice them. You can preview each transition effect. Sound/Audio: You can associate an audio file with an image. This audio file will play when the associated image is displayed. But there are problems. If the audio duration is longer than the display time, the audio gets truncated (the display time should be extended to the duration of the audio play time). Sound files can be separate from the picture (sharing the same name), or embedded within the picture (if the picture format is PNG or JPG). Wallpaper: Clicking menu item "Tools | Set Background Tile" sets the picture background to part of the background of the currently displayed picture, which seems a little weird. Only 6 printing templates are available. The Header and Footer used in browsing the pictures are ignored! If you want them, you have to use new pure text (no metadata). The selected picture can't be rotated for a better fit. You can create a contact sheet (thumbnail images) of selected pictures, however. In short, picture printing is not a strong point for ACDSee. Simulated Frames: There is no capability to display simulated picture frames. Other Features: ACDSee has numerous picture editing features that aren't covered here. It also has capabilities such as creating a PDF slide show, an executable slide show, and a video CD slide show (separate module needed). ACDSee 7.0 is a feature-packed program. In fact, it seems to have almost too many features, making it a bit difficult to learn. The ability to define its caption content is outstanding, as is it's complete and accurate display of picture EXIF information. It is weak in printing and in the fact that Headers and Footers need to be repeatedly refefined. Nevertheless, it sets the standard in terms of feature richness. Program Overview: The Canon Zoombrowser is a program that comes with the purchase of a Canon camera. It has some nice aspects of picture browsing. Picture Set Selection: Before you can look at a folder containing picture files, you have to register it. Apparently this folder and its pictures are then put within a database. This process also includes generating thumbnails of all the pictures in the selected folder. These thumbnails are then displayed within the application window. Picture Ordering: You may set the display order to be by name, type, or date (ascending or descending). Size & Positioning: The main display window can be resized and repositioned. By selecting a set of thumbnails, you can show a slide show of these pictures. While you can go forward or backward (by mouse click or arrow keys), you can't go to the first or last picture, nor can you go to an arbitrary picture. Pan & Zoom: The slide show has no pan or zoom capability. Neither does the directly viewed picture. Slide Show: Selecting View | Slideshow begins a full-screen slide show. But the only control is forward, reverse, and pause. Transition Effects: There are about 32 slide show picture transitions (Canon calls them wipes) to choose from . Captioning: Picture captioning consists of a title and comments. Note that this data is stored in a proprietary database - it is not EXIF data. During the slide show, the title will appear in small text below and to the left of the picture. It cannot be repositioned. Picture Information: If you select a picture and ask for its properties, you will get a complete set of its camera settings, but other EXIF data (such as the full ImageDescription) may not be present. Sound/Audio: While you can attach a sound file to a picture (via its custom database), the sound file unfortunately does not play when the slide show is displaying the picture. To hear the sound, you have to select its thumbnail, right-click it, and select Play Sound. Other Features: If you double-click an image, you see it in a separate large window. There you can adjust such settings as color, brightness, or contrast. You can also crop the picture. While Canon ZoomBrowser EX has a visually pleasing interface, and is free to Canon camera owners, its lack of flexible picture browsing (no pan and zoom, weak captioning) is a significant drawback. Program Overview: CompuPic is a good picture browsing program that also includes such things as batch operations, contact sheet printing, and screen saver creation. When used for picture display, it's primary screen contains three window panes, one of which contains the thumbnails in your selected picture folder. Double-click a thumbnail, and you can browse your picture(s) in full-screen (or a resizable window) mode. To show your pictures with sound and transitions, you have to go into "slide show" mode. Evaluation Version Limitations: No limitations, 15-day trial. Picture Set Selection: CompuPic opens with a 3-pane application window: a "Folders" windows in the upper-left, a "Preview" window in the lower-left, and a folder content window in the right side of the screen. Use the Folders pane to browse to the folder holding the pictures you want to view. CompuPic will build their thumbnails and display them in the right pane. Picture Ordering: A huge number of automatic sort options is available (e.g., name, size, date, type), with both forward and reverse sorting. But there is no ability to manully sort the pictures. Picture Selection: In the Viewer window, or in Slide Show mode, you can select pictures via these keyboard keys: Home to go to the first picture, End to go to the last picture, Page Down to go the next picture, or Page Up to go to the previous picture. When not in Slide Show mode, you can use the mouse to go to the Next or Previous picture. Size & Positioning: The main program window can be resized and repositioned. It's panes can also be resized and repositioned. Pictures are usually browsed within the "Viewer" window, which is separate from the main program window. This Viewer window can be either a normal window, which can be resized and moved, or it can be full-size, where it cannot be resized or repositioned. Pan & Zoom: There is good pan and zoom capability, but there are so many options here that it becomes confusing. A Zoom-In and Zoom-Out icon do a 10% zoom to the picture center. This zoom value is too small to be useful. The "Instant Zoom" is cute, but not very practical. Forget those and use the icons Magnify Mode and Pan mode. After you click Magnify Mode, you can click on any point within the picture to zoom in to it (shift-click zooms out). You can also drag the cursor to do a box zoom. After you click Pan mode, you can use the "hand" icon to do panning. Pressing the number keys will also zoom (e.g., 8 give an 8 to 1 zoom), but that's another case of bloatware. The keyboard "F" key provides a fit-to-screen, a function so necessary it needs to be available via the mouse. Orientation Changes: Pictures can be rotated clockwise, counterclockwise, and flipped horizontally or vertically. Pictures can also be rotated in 1 degree increments. Slide Show: You might think that "Viewer" mode (where Double-clicking a thumbnail brings up the picture "Viewer" window) is the same as Slide Show mode, but it is not. Slide Show mode is entirely separate, and includes transition effects and plays audio files with the pictures. It cycles through selected thumbnails (or all pictures if none are selected). Unfortunately, you can't use the mouse to control the slide show. There is no way to skip to an arbitrary picture. But you can use the keyboard to advance to the next picture (Spacebar or Page Down). Likewise, key Page Up goes back one. Key Home skips to the first picture, and ken End skips to the last picture. But these keys are inoperative if a sound file is playing. Sound/Audio: Audio files that are named similarly to a picture file will be played, but only in "slide show" mode. There is no ability to specify both background and foreground audio files. Captioning: None. The only exception is that the filename of a picture may be displayed along with the picture during a "slide show". Transition Effects: There are over 100 transition effects, but they are only available in "slide show mode". All effects may be selected, or only those selected. In short, CompuPic has outstanding transition effects, unequaled by any other program. Wallpaper: The viewer background color may be set, but the method for changing it didn't provide much flexibility (no menu of color selections). Printing: The print capability is somewhat crude in that there are no layouts from which to select. So if you select 4 pictures, they will require 4 pages - one picture per page. However, on each page you may specify a header and footer. A nice feature is that the picture on each page had edit handles, allowing you to move and resize the picture. Almost no other picture display programs have that particular feature. The exception here is that a Picture Index may be created. This is just a "contact sheet" of pictures, meaning that all pictures are printed in a grid, all having the same size. A header and footer can optionally be specified, as well as a background color. Simulated Frames: There is no ability to display simulated picture frames. CompuPic has some great features (transitions, web operations, picture viewing), but also has some big limitations (EXIF picture data, lack of captioning). But it definitely is worth looking into. Program Overview: EZ-Pix is an image viewer and editor. It has a streamlined interface and is easy to use. Evaluation Version Limitations: Nag screen, only 8 favorite folders, can't create HTML indices. Picture Set Selection: Begin by selecting a folder of picture files to view. Picture Ordering: You may sort them by name, date, type, or size, in ascending or descending order. But you can't select the order of the individual pictures yourself. Size & Positioning: EX-Pix opens in a window with 3 panes. the panes resize with the window, and can also be individually resized. The upper-left pane displays the system folders and sub-folders, while the lower left pane displays the thumbnails in the selected folder. Click on one of these thumbnails, and its picture displays in the right-side pane, with a best fit to the pane size. By clicking on the thumbnails, it's easy to browse among the pictures. The thumbnail pane can be switched to a simple picture filename list, or smaller thumbnails with some picture file information. Slide Show: You can do a slide show either in window mode or full screen mode. The picture display window can be set to display only one picture at a time, or a set of thumbnail-sized pictures. Alternatively, you can display pictures in full-screen mode. Picture Selection: Select the next picture to display by clicking on buttons First, Next, Previous, and Last. In windows mode you can select the picture by its thumbnail. Pan & Zoom: There is a zoom in and a zoom out tool, (or use the "+" or "-" keys) but its reference point is always the center of the picture. Panning (via the mouse "hand" icon) is easy. Picture Information: There is a way to add a description to a file, but the only way you can see it is to click on the information icon (or type "i") when the picture is displayed. There is no hint that a picture contains such annotation. Other than that, the only other information is the file size, number of colors, and file type. Other Features: The program does include a number of picture editing abilities, such as resize and crop. Copy, rename, and delete are also supported. Orientation Changes: Rotate and flip are available. Printing: The currently displayed picture can be printed, or the set of thumbnails can be printed. EZ-Pix is a basic picture display program, but what it does, it seems to do well. It's major limitations are the lack of picture information, flexible captioning, and sound capability. This program is very similar to FocusViewer. Program Purpose: Firehand Ember features both picture editing and viewing. Evaluation Version Limitations: 30-day free trial, or 30 evaluation sessions. Picture Set Selection: To begin, select a folder of picture files. The thumbnails for each of these pictures will then be generated and displayed. Thumbnail generation is very fast. You can change the size and spacing of them. Picture Ordering: There is no way to reorder the pictures. Slide Show: "File Gallery" begins the slide show. Size & Positioning: The slide show runs in full-screen mode. You can also browse a selected photo in a window whose size you choose. Picture Selection: In slide show mode, the only picture navigation is forward (forward arrow) and backward (back arrow). When not in slide show mode, double left click a thumbnail to fill the screen with it. Unfortunately, since the default scale is 1:1, you will see only part of a large image. In that case, zoom out. When in browse mode, there seems to be no way to select another picture. You can search for a picture by it's filename, using wildcarding. Pan & Zoom: No pan and zoom in slide show mode, but otherwise you use the "+" key or Left-click to zoom in (limited), and use the "-" key or control-left-click to zoom out. The four arrow keys pan the image. Compared to thumbnail generation, zooming for some reason is relatively slow. Orientation Changes: You can rotate left or right, and flip horizontally or vertically. Picture Information: Picture EXIF data is nicely displayed, except that only the camera data is displayed. The important textual description tags of ImageDescription and UserComments for some reason are totally missing. And what EXIF there is, is only available when you right click on the image and then select Properties (or Alt-Enter). There is no way to change the EXIF data. Captioning: You can place text of any content, size, font, and color, anywhere on the picture. The problem is that this text then becomes a permanent part of the picture. Transition Effects: There are no transition effects. Sound/Audio: There is no sound capability (except that every mouse click has a sound effect associated with it). These are available with the "Display Xtension Add-In for Ember" (at $34.95). But there is no downloadable evaluation version of them to check out. Printing: One or more thumbnails can be selected for printing, and they can be printed within the number of rows and columns you specify. A header and footer can be specified, along with limited picture file information. Wallpaper: The "wallpaper" feature implies putting a picture on your desktop. Other Features: You can convert files, rename files, copy files, and move files. Photo editing tools are also available. But when I tried sharpen and blur, it took awhile, and I noticed no visible effect, even at the extreme settings. Firehand Ember is only an average picture viewer. The "Display Xtension" improves its capabilities somewhat, but at a cost that makes it much more expensive than any other picture viewer out there. Its non-invasive captioning and its picture-to-picture movements are drawbacks. Program Overview: FocusViewer displays and edits pictures, and can also send them out for prints. FocusViewer opens in a window which has three panes. You begin in pane 1 (top-left) by selecting a folder containing picture files you wish to process. The thumbnails of those folder picture files are generated and displayed in pane 2 (right side of window). Selecting one of these thumbnails causes a larger picture to be displayed in pane 3 (lower-left). Each pane can be resized, and you can show any one of the panes individually. Picture Selection: Click on a thumbnail to randomly select a picture, or on the menu bar icons Prev or Next. The keyboard Home key brings you to the first picture, while the keyboard End key brings you to the last picture. Size & Positioning: If the application window is resized, the viewer pane is scaled appropriately. You also have the option of only showing the view pane, which will scale to the application window. Orientation Changes: The picture may be rotated left or right, but not flipped. Slide Show: Slide Show simply causes a timed advance of the pictures. Picture Information: If you mouseover the extreme left of the picture/Viewer pane, a picture EXIF information list will appear. This EXIF data is some of the most accurate and complete of any picture viewing program! There are only minor problems and one major issue. The two minor problems are that both the Image description and User comment tags have a limited display area. Multiline tag information is compressed to a single line. Therefore long and/or multiline data will not be correctly displayed. The major issue is that none of these tags can be edited. On a more positive note, this EXIF information pane can be kept up while one browses a set of pictures. Almost no other programs that display EXIF data allow that. Printing: You can print one picture per page, in landscape or portrait mode, justifying it in any position. The picture filename is printed alongside the picture. You may also print a "contact" sheet which contains 6 pictures per page, along with a header and footer. Each picture has it's filename printed under it. 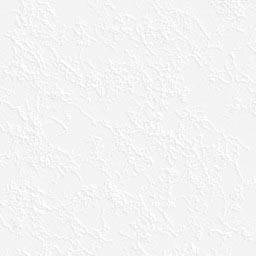 Wallpaper: This function actually makes the selected picture be your desktop wallpaper, and does not generate a background for your displayed pictures. The default is to have Calendar clicked, but when I did, I constantly got an Access Violation when clicking OK.
Other Features: You can also edit the selected image (e.g., rotate left, rotate right, crop adjust brightness, contrast, sharpness) as well as applying special effects (e.g., add noise, emboss). FocusViewer, in spite of its claim to be "full featured", is a basic picture file browser and editor with limited features. But it is easy to use and has excellent capability for displaying a picture's EXIF information. This program is very similar to EZ-Pix. Program Overview: FreshView is a multimedia browser that is small and fast, with strong and rich functionality. Its intuitive user interface makes it very to navigate and operate. Evaluation Version Limitations: Free to home users, but still must register after 23 days. Picture Set Selection: When you first run the progrm, the blank screen is confusing since there is no menu option to select a folder of picture files. Click the tool bar back arrow (up a folder). Then use the directory structure in the left pane to select a folder of pictures. Their thumbnails will appear in the right pane. Picture Selection: Click a thumbnail to have a larger version of it appear within the "Image Viewer" (right pane). Size & Positioning: The program window can be moved and resized. The Image Viewer pane can be resized. Slide Show: Click the projection screen icon to begin a slide show of the pictures in the thumbnails area. The display time can be set. The pictures can be shown in the thumbnails window order, or in random order. Once the slide show starts, there is no way to control the display order. Transition Effects: There appear to be over 100 transition effects. You may select all, some, or none. Picture Information: Right-click on a thumbnail or the Viewer window, and select Image Properties to see a very limited list of picture properties - picture dimensions, size, type, file name, etc. If you select File Properties instead, you will see the standard system file properties dialog box. Wallpaper: The Viewer can have their backgrounds set, but only to solid colors. Printing: After selecting the pictures you want printed, click the Print icon. You then have a layout choice of 1, 2, 3, 4, 6, 8 pictures per page. Or you can make a contact print (full page of thumbnail-sized pictures). Finally, selection custom lets you specify the number of rows and columns of pictures. The resultant picture is captioned underneath by picture data information (name, path, size, date). There is no way to specify orientation or clipping. There is no way to selectively place pictures on the page. There is no way to make some pictures big and some small. File operations Copy, move, rename, and delete may be done. Change the type of a file. Freshview is a very basic slide show program. Its strengths are that it is free and it has a huge number of transition effects. Its weaknesses are that its slide show is uncontrollable during presentation, there is no picture caption ability, no way to rotate or flip pictures, no pan or zoom ability, and no way to reorder the pictures. Unfortunately, the fractured English in the Help text detracts further. Program Overview: Futuris Imager supports many picture formats, including JPEG, JPEG2000, TIFF, PhotoCD, and Photoshop. Some of the other features are: customizable printing, screen capture, support for scanners and cameras, HEX viewer, and filters with undo. Also Futuris Imager includes a plug-in system, which allows third-party developers to extend the application. Picture Set Selection: The program opens with a blank screen. Use menu selection File | Open to select a folder of picture files. Picture Ordering: There is no ability whatsoever to sort pictures. Picture Selection: Picture selection is done with Back and Forward icons. There is no way to go to a particular picture. When you move to a new picture, it is displayed at a 1:1 scale, so that you only see the upper-left corner of big pictures. Size & Positioning: The picture being displayed occupies the entire application window. Pan & Zoom: Click on the Zoom in icon to zoom in to the upper left corner and Zoom out to zoom out from there (rather odd). Strangely, the Zoom icon performs a fit-to-screen. There is no mouse zoom ability. Panning is done with the mouse, via a "hand" icon. Orientation Changes: There is no way to rotate or flip the pictures. Slide Show: When a "slide show" is initiated, the picture time can be set. The three presentation orders are: Normal, Reverse, and Random. The pictures are always shown in a 1:1 scale, so you only see the upper-left corner of big pictures. Sound/Audio: There is no audio capability. Picture Information: Called File Info, the display is of the name, path, size and date of the picture file. Captioning: There is no caption ability. Wallpaper: There is no ability to change the picture background. Printing: You can print a picture, but there are no printing options to choose from. Plus, the picture is printed in a small size in the middle of the page. Simulated Frames: There are no simulated picture frames. Other Features: Input can come from a digital camera. You can copy, move, delete, and rename a picture file. You can e-mail the picture, but the program would not let me leave the "To" field! Futuris Imager looks like the first cut by someone trying to build a picture display program. It is probably one of the worst picture display programs available and should be avoided. While the installation was a bit unusual, it seemed to proceed normally. But at completion, there was no executable installed on the desktop or in Start>Run. The folder Abidos Technology Ltd was placed in the Program Files directory, and folder JPEG Viewer was underneath it, but it contained no EXE file. I assume this application is not yet configured to install properly under Windows XP, which is what I'm running. It also appears not to have been updated in the past three years. Program Overview: MySlideShow builds canned slide shows, giving you a wide variety of options for doing so. Evaluation Version Limitations: Some plug-ins don't work. Picture Selection: MySlideShow begins by requesting a directory and having you select which of those files should go into the slide show. Picture Ordering: Picture ordering is strictly manual, via a picture list and a "move up" and "move down" button. While workable, this technique becomes very time consuming if you are dealing with a large number of pictures (e.g., 150). A further reordering disadvantage is that you only see one thumbnail image at a time - the one selected for moving. Picture Size: You have the option to stretch the image to fill the entire screen. Slide Show Control: Unfortunately, control is lacking. There are no controls on the screen. The left and right arrow keys do control advancement, but there seems to be no way to pause the display or move to a particular picture, such as the first or last one. Captioning: The caption you may optionally add is stored in a local "album" data file. Once defined, you can enable or disable its display. You can also position it at one of six locations, but all of them overlay the picture. You can also add some file information (file name, size, and date), but it displays below the picture. Transition Effects: There is a good set of transition effects available. An unusual capability is the ability to specify the transition effect for a particular picture, as well as for all of them. Sound/Audio: MySlideShow has unusually good sound features. Not only can you associate a sound file with a particular file, but you can also specify background sound files. Unfortunately, if a picture's sound file takes longer than the specified slide display time, the slide advances anyway so that a picture's narration may continue onto the next several unrelated pictures! A "Slide Editor Add-in" allowsyou to insert text boxes, web links, small images and video clips (AVI, MPEG-1) into slides. An "EXIF Inspector Plug-in" imports separate EXIF properties (for example image description, image date/time) to the caption field of your slides, fix slide rotation field depending on EXIF Orientation values, sort your photos by the date/time taken. A "Video Generator Plug-in" allows you to create VCD, SVCD, DVD and DivX video files from your slide show projects. Then you can import the video files to your CD burning software, create Video CDs and play them on a DVD player. MySlideShow is a very good slideshow building program, and appears to be well documented on their website. It offers good sound and transitions, but has weak picture navigation. Program Overview: Roxio's (formerly Adaptec) PhotoRelay is bundled with Roxio's Easy CD Creator 5 application. Its purpose is to insert your pictures into a packaged slide show that may be viewed on a PC, written to a CD, or sent out for processing. Hence, this is not a general picture browsing program. Picture Set Selection: The program begins by displaying a table of boxes that will hold thumbnail images. Click either the Add or Acquire menu icons to bring in a set of pictures that will populate these thumbnail boxes. Picture Ordering: You can sort the pictures by name, type, size, date, or you can designate the sort order by dragging and dropping the thumbnail images. Picture Selection: Picture selection is initially by thumbnail selection in the opening thumbnails window: double-click a thumbnail to see it within a large window. You can repeat this process to look at another picture, or, you can use the picture selection buttons in the large picture window: First, Previous, Next, and Last. Slide Show Control: The created slide show is shown in full-screen mode. It's controlled by a Next and Previous button. There is no way to directly go to the first or last picture, nor is there a way to go to an arbitrary picture. Size & Positioning: The main program window (holding the thumbnails) almost fills the screen and cannot be resized, although it can be moved. The picture viewing window can be resized and moved. The slide show window is always "full screen", and hence cannot be moved or resized. Pan & Zoom: The picture viewing window has a crude zoom: each click of the zoom icon zooms to the upper left picture corner. Panning is also crude, and is done via the viewing window scroll bars. There is no pan or zoom when in slide show mode. Orientation Changes: Rotation is done by a very unusual method: you drag a rotation line around the periphery of your picture, which enables rotation in any direction and any angle. Its "stickyness" at 0, 90, and 180 degrees helps. Strangely, there is no ability to flip the picture horizontally or vertically. Transition Effects: There are some nice transition effects - they are selected randomly. You can only enable them or disable them. Sound/Audio: You can attach an audio file to a picture, and it will play while it's picture is being displayed in the slide show. You can also specify a background audio file. But you can't specify both at once. Captioning: You can attach a Title, Date, and Description to a picture. All three show when you click on a thumbnail. In slide show mode, only the Description shows, and it is placed on the picture, near the top center. But this data and the sound data are stored in a data format defined by Roxio (not EXIF). Picture Information: If you right-click on a thumbnail and select Properties, a form will display the following picture file properties: name, picture width, height, size, date, and attached sound file. No EXIF data is available. Wallpaper: None - parts of the screen not covered by the picture are shown in black. Simulated Frames: Four simple frames are available, but only optionally when a picture is printed. Printing: You can print one or more pictures, in sizes "small", "medium", and "large". There is no way to further control these sizes. There is also no way to control the positioning of these pictures on the page (i.e., no page layout template). Other editing features, such as Sharpen Image, and Adjust Saturation are also available. Automatically upload your images to a website. Package a slide show on a CD-ROM that will play on any PC. If you have Roxio's Easy CD Creator 5, this slide show program is definitely worth considering. Use it for packaging a slide show, not for picture browsing. It's strong points are its ease of composing a slide show and it's audio capability. It's weak points are its lack of embedded picture information and weak picture captioning. Since Easy CD Creator 5 is no longer offered, PhotoRelay 2.5 is also no longer offered as a product. Instead, some of its features have been integrated into Roxio's new offering - Easy Media Creator 7. The equivalent program there is probably Photosuite 7. Unfortunately, it doesn't appear as if a downloadable evaluation copy is available. Program Overview: PhotoShow 3.0 builds a canned slide show for you or others to view. The only actions you can take are Pause, Resume, Next, and Previous. Evaluation Version Limitations: 15 day trial. The trial version will not burn CDs. How to begin: Begin by building a new slide show. First select a folder from which to get the pictures from. Then, if necessary, drag and drop the folder's thumbnails to reorder them properly. Select the "Show Style" (e.g., Christmas, Weddings), which downloads themes and music. Enter "Title", "Created by", and "Starring"
Upon startup, the first thing it does is completely take over your screen, so that you have to use Alt-Tab to switch to other tasks. When viewing a photo show, only about half of the screen is used for picture display. During and just after the installation process, the program kept trying to access the Internet. Since no reason was given, it was somewhat unnerving. The installation process wanted my e-mail address so it could send me literature. Most people don't want that. During the process of loading my folder's picture files, it said it couldn't load five of those files, but didn't identify which ones it couldn't load, or why it couldn't load them. PhotoShow builds some very nice slide shows, but it also has quite a few annoying traits. Program Overview: PicaJet Photo Organizer is a picture organizer and viewer whose focus is on organizing pictures through the use of categories. It includes a full-screen slide show as well as picture editing tools and the ability to print pictures. While this version is free, a similar version offering more features is available for $39.95. Picture Set Selection: Upon startup, after going through the wizard to set up a database and select a picture folder(s), it displays a multi-pane window. Folder thumbnails are in the big center pane. A "Categories:" pane is on the left. A "Locate By:" pane is in the upper-right. A "Properties:" pane is in the lower-right. Picture Ordering: Files may be "arranged" by rating, caption, date, name, locations, and size. (Although I couldn't get this to work.) There is no manual picture ordering. Picture Selection: To obtain a larger view of a picture, it's thumbnail is double-clicked. Double-click this larger view to return to viewing thumbnails. In slide show mode, only buttons Next and Previous can control picture selection. Size & Positioning: The main program window is initialized to full-screen (except for the system Task Bar). But you can size it smaller, and then move it. As stated previously, the picture thumbnails appear in the center pane. When you double-click one of these thumbnails, that picture then fills this thumbnail screen. To make this picture viewing window bigger, you have to move it's left and right pane boundary. Hence, there is no quick and easy way to display a picture at a size that occupies almost all of the display screen. Pan & Zoom: A zoom-in to the picture center is done using the keypad "+" key. A zoom-out from the picture center is done using the kepad "-" key. The mouse can't be used to zoom in or out. In fact, the help file text states "We insist on your using keyboard shortcuts. It enables you to increase your working speed and convenience." Yet when zoomed in, you can use the mouse as well as the arrow keys to pan around the picture! The keypad "*" key fits the picture to the display window. Orientation Changes: Pictures can be rotated left and right. They can also be flipped horizontally. Strangely, they cannot be flipped vertically. Sound/Audio: Menu selection Tools | Options | SlideShow lets you specify a folder of MP3 files that will play in the background during a slide show. They repeat. They can play in order or randomly. A picture cannot have an audio file associated with it. Menu selection File | Metadata displays the EXIF and IPTC information associated with a picture file. I found that most, but not all, defined picture tags were present (e.g., Photographer is missing). Unfortunately, the first 8 characters of EXIF tag User Comment are dropped if this tag contains ASCII text (as it often does). This tag and EXIF tag Image Description both don't deal with multi-line data - the Returns are dropped. Also, none of this informaton can be saved - the FX update is required for that. A one-line description can be attached to a picture. A rating of one to five stars can be attached to a picture. Captioning: The one-line description as well as the rating in stars are both displayed below the thumbnail, but they aren't displayed on the picture during the full-screen slide show. Transition Effects: There are several nicely done transition effects. (In order to see the full set of them (about 16), you need to upgrade to the FX version.) The method of specifying them seemed somewhat awkward. Wallpaper: There is no means to change the picture display background. Printing: Three templates are available: One full-page template, a template holding 9 pictures (2.5 x 3.5 inches), and a contact sheet template holding 15 pictures. The pictues you have selected will fill the template boxes. The following annotation can be added (below the picture and left-justified with it): File Name, Date, and Description. The page orientation can be either Landscape or Portrait. When making a contact sheet, the number of pictures per column can be changed. But when I changed from a contact sheet to a 9-picture sheet, the program hung in a CPU loop. Picture Editing (done via Fix Image: Brightness/Contrast, Hue/Saturation, Crop, Levels, Sharpen/Blur, Effects, and Red Eye Reduction. Pictures can be read from a camera. Upon installation, Microsoft AntiSpyware detected pjext.dll was trying to add a context menu handler to Windows Explorer(add menu item(s) to Window's Explorer context menus). I blocked it. Upon startup, by default, it seems to want to scan every file on the system for pictures! This could take awhile if you have lots of picture files. By default (but you can override this), it puts it's database in: C:\Documents and Settings\default\Application Data\Picajet.com\PicaJet\2.0\Database. Upon startup, you can select a skin: Default, Media Player XP, or XP Blue. The Help text English was sometimes difficult to understand (their "holding up" a key means "pressing" a key, "picture" sometimes means "icon", "on the workspace" means the "Properties" pane, "caption" also means "description"). I also found the help file's index inadequate. In the "Locate By:" pane, icons allow you to group the pictures by date or rating, but I was unable to make this work. Picture ordering didn't seem to work. Menu command Edit | Find is supposed to find pictures with the specified text in "Caption" or "Everywhere". I tried both types of search on text that should have matched exactly, but the search failed to succeed. PicaJet Photo Organizer really seems to emphasize photo organization, yet I found its features in this area somewhat difficult to understand, which may have been due to 1) its rather skimpy documentation, 2) non-standard English terminology, and program operational bugs. It does seem to feature good EXIF and IPTC tag data capability, along with a full-screen slide show with sound. But, as they repeatedly bring up, their "FX" version offers more in searching, EXIF update, and a greater number of transitions (27 vs 3). Program Overview: Picolo is a basic 3-pane window picture display program. Note that it supports itself by installing adware on your system! Picture Selection: You select the picture file directory in pane 1, see the content as thumbnails in pane 2, and select a thumbnail in order to display it in pane 3. Slide Show: While in slide show mode, there is no way to manually go forward or back, or to go to a random picture. And while large pictures are reduced in size to fit the screen, small images are not increased in size to fill the screen. You can sort the pictures by name, size, type or date, but you can't manually reorder them. Picture Selection: There is no way to go forward or backward in the picture directory. Size & Positioning: While in 3-pane mode, you can click on a picture to fill the screen with it alone. Pan & Zoom: The zoom point is always fixed at the upper left corner of the picture. Transition Effects: Dozens of transition effects are available. Other Features: Picolo does provide a number of tools to edit the image such as color adjustment, solarize, posterize, and conversion to true color or black and white. It also offers a number of batch operations, such as rotate. Picolo is a below-average slide show program having limited features. Its adware support makes it less desirable these days. Plus, support is questionable: their user forum comes up displaying an error, and when you try to send them e-mail, it bounces. Program Overview: PolyView is a graphics utility designed for creating, viewing, converting, and printing images. It has an almost overwhelming number of technical options. Evaluation Version Limitations: None. The demo says it is good for 30 days. There are periodic registration reminders. Slide Show: You can build a slide show by selecting a set of picture files. When you then request that the slide show begin, it goes into full screen mode, advancing to the next picture every few seconds. A left-click pauses the action. In that case, a left-click displays the next picture, while a right-click displays the previous picture. There is no way to go to the first or last picture. Nor is there any way to go to an arbitrary picture. Picture Selection: After PolyView starts, you can specify a directory of picture files to browse. Buttons move you to the next or previous picture. There seems to be no way to use thumbnails to select a picture. However, you can go into "Browsing" mode to select a picture by it's name. The drawback is that pan and zoom don't operate in this mode. Size & Positioning: PolyView creates an application window. All other windows it creates are placed within this window, often making things seem cramped. The picture window is one of the residents of this application window. While you can resize and reposition this window, its size often changes as you browse from picture to picture. PolyView is unusual in that it doesn't create thumbnail images unless you request them. If you do, the thumbnail display unfortunately doesn't include the associated thumbnail file names. If you double-left click a thumbnail, you then see its picture as a window within the thumbnails window (you can't move it outside this window). The problem is that this window soon gets crowded with pictures and becomes almost unusable. If you then double-left click on one of these pictures, it opens in full-screen slide show mode (left-click = Next, right-click = Previous), but you can only move among those pictures whose thumbnails you have expanded. You have no control over the display order. If this sounds somewhat complex, it is. In fact, it seems so unwieldy that one tends to avoid it if possible! Pan & Zoom: You can zoom via a menu selection or a function key. But I found the zoom center point not always where I expected it to be. To use the mouse to zoom, you draw/drag a rectangular area to zoom to. Panning can be done by window scroll bars or by the mouse wheel (if your mouse has one). Even mouse wheel horizontal panning is supported. Orientation Changes: Pictures can be rotated clockwise or counter-clockwise. In addition, they can be flipped vertically or horizontally. Picture Information: PolyView is outstanding in the number of picture properties it can extract from the picture file. Not only does it give you file size, date, height, width, etc., but for JPEG files you also get the EXIF information such as ImageDescription, ImageComment, Artist, etc. In fact, no other program beats it in the amount and accuracy of this information (PicViewPlus comes very close). A small drawback is that this information window must be constant re-established when you move from picture to picture. The only major drawback here is that there is no way to enter or change information such as the Image Description. Captioning: The picture file name is displayed in the lower right corner of the picture. It can't be resized or repositioned. There is a "text tool" for placing text of any size or font on the picture, but this text overwrites the picture file. Transition Effects: There are about 15 transition effects, but there is no way to browse their effects. A transition effect can be associated with all pictures or with a specific picture. Sound/Audio: PolyView can associate a sound file with a picture. The picture display time is extended to the length of long sound files. However, if you advance to the next picture, the sound file is not terminated, and still continues to play. Printing: Printing is done via the Print Composer which allows you to select from among 8 different page layouts. Then you have to Choose which picture is to get inserted into each layout box of a page layout. The problem is that this is all done by file names, not by picture appearance, so it soon becomes a bit confusing as to what was assigned where if your picture files don't have meaningful names. (Enabling Preview helps a lot) If the the picture aspect aspect ratio doesn't match the layout box aspect ratio, it appears the picture is shrunk to fit. There is no provision crop the excess sides while maintaining a maximum-sized picture. PolyView is loaded with picture display features. The problem is that these features don't seem to be well integrated, and the program is somewhat difficult to use because of this. Nevertheless, its EXIF tag support is outstanding, as is its ability to handle a wide variety of camera raw picture file formats. Program Overview: RoboPhoto allows you to create thumbnail web pages of your pictures. Slide Show: Yes, but limited. Size & Positioning: The displayed pictures are only about double the standard thumbnail size. Picture Information: From this review's point of view, RoboPhoto's strong point is its generally complete display of a picture's EXIF data. Unfortunately, several useful tag items are missing (exposure mode, flash, orientation), and some tag data is truncated (Image Title only shows the first line of a multi-line title). You can update the EXIF data, but you have to buy a license to do that. While RoboPhoto is primarily used to create thumbnail web pages, and hence is not a general slide show program, it does have the ability to display a picture's EXIF tag data - an often useful feature. Program Overview: SlideShow Desktop is used to create a packaged slide show. Evaluation Version Limitations: Full functionality for the first 14 days, limited functionality after that. Slide Show: SlideShow Desktop requires that you first build a slideshow file list. You can do this by dragging and dropping individual files or folders of files. Once this list is built, you can reorder it either alphabetically (by file name), or by moving any specified picture file name up or down in the display order list. At this point you can start up the slide show in full screen mode. In auto-advance mode, pictures can be shown in sequence or at random. If you disable the auto-advance, you can selectively display any picture on the display list by double clicking it. Size & Positioning: This program chooses to display the picture unlike in any other slide show program - in full size on the desktop. This means that your icons, the program window, and any Windows Explorer windows overlay the picture! The program gives you the option of hiding these desktop icons. Or, another option hides the icons and minimizes all windows, leaving a small navigation window in the lower right corner of your screen. However, when you do this, you can only navigate forward and backward. Picture Selection: Either forward or backward if you aren't in the auto-advance mode. Pan & Zoom: None, since this is a packaged slide show. Captioning: The only caption allowed is the display of the picture file name centered near the bottom of the screen. Sound/Audio: Sound files cannot be played in the background or associated with any picture. While the program claims to play sounds, the sounds are actually picture transition sounds that are intended to simulate a camera click (another odd feature no other slide show program has). Problems: Unfortunately, the program had the annoying habit of crashing when you minimized it, and then tried to restore it from the taskbar, leaving the last displayed picture as a desktop background. You then have to run a companion program called "Restore Desktop". SlideShow Desktop is a minimum-featured slide show building program that is hampered by showing its pictures on the desktop, where it can interfere with your other desktop items. Evaluation Version Limitations: Some features are limited. Program Overview:Thumber is a multi-purpose digital imaging tool which can be used to create web pages, display image information, rename files, add comments, view and edit images, etc. It only works with JPEG images, and is strongly focused on digital cameras and the creation of web pages. As such, it is very weak in its "slide show" display capabilities. Picture Selection: You begin by selecting a file directory of pictures. A thumbnail of the selected picture is displayed, and you may go backward or forward by one or 10 pictures - or to the first or last picture. There is no way to go to a specific picture. There is no way to change the display order. Size & Positioning:Most important, there is no way to get other than a thumbnail view of the picture (hence no pan or zoom capability). Thumber is therefore not really a general picture display program, as are the other programs evaluated here. Orientation Changes: The picture can be rotated in positive or negative 90 degree increments. Picture Information: Thumber does have the capability of showing the EXIF information embedded within a picture, and does a reasonably good job of extracting it accurately. Unfortunately, its presentation of this information is sometimes inaccurate (e.g., White Balance and Metering Mode) and incomplete (e.g., Exposure Mode). While Thumber can read and edit "Picture Comments", this data is not a standard EXIF tag (according to Thumber's Help file). Hence it is very unlikely that other software will be able to read this comment information. Thumber is not really a general "slide show" program. Instead, its strong point is in the creation of web page picture sets and the display of picture EXIF tag information. Program Overview: VuePrint Pro is designed to view and print images, crop them, and convert from one format to another. Evaluation Version Limitations: All features are enabled, but every picture has a watermark consisting of many large "$" signs. Program Installation: VuePrint Pro has a very unusual installation procedure, and places its files in the Windows directory instead of the Program Files directory, so after installation, you won't find it via Start|All Programs|VuePrint Pro. Instead it's in c:\windows\vuepro32.exe. It's uninstall procedure is also unusual, so use caution. The thumbnails draw very slowly. If transition effects are enabled, they also apply to the thumbnails, making them draw even more slowly. The default thumbnail size is too big - only about 12 of them fit within the window. Thumbnails that don't fit in the window are simply ignored (no scrollbar), so it becomes impossible to select the rest of the pictures! You can also go directly to a specific picture; BUT, you have to know the picture's filename. No picture name list is shown to assist you. You have your choice of the standard display order (alphabetical) or random. Size & Positioning: When a picture displays, it will fill the dispaly window (fit to screen) if it is too big. It will display smaller (1:1) if it is too small. The display window can be resized and repositioned. Pan & Zoom: Left clicking on a point will cause a zoom-in on that point, while right clicking will zoom out at that point. A left-drag-click will cause a zoom to the rectangular area generated. Zooming is done by the arrow keys (keyboard arrow keys also). You can't pan using the mouse. Unfortunately, the pan and zoom actions are significantly hindered by the program applying its transition effect to every pan and zoom. Transition effects should only operate between different pictures, not on different views of the same picture. Orientation Changes: Mirror (left-to-right), and Flip (top-to-bottom) are available. Rotate only goes one direction. Slide Show: A single click starts a slide show. You can control the number of seconds a slide shows. Picture Information: By typing "N" you can see a "Comments" window, which in reality is a fairly good list of all the EXIF data within the picture. Unfortunately, some of the data values aren't decoded, e.g., a metering mode of "5" is fairly useless, as is a flash value of "25". Tag UserComment, which often contains useful information, is sometimes displayed as a series of hex codes. Importantly, EXIF tag Image Description is displayed (even multiple lines). Command Edit|Edit Comments allows you to edit this EXIF information, but the edits don't affect the picture file for some reason (a bug?). Finally, while this Comments window can be resized and moved around, there is no way to selectively display specific EXIF tags, nor any way to change the font of the text. Transition Effects: There are about 12 transition effects you can choose from (under Options|Effects). Sound/Audio: VuePrint Pro claims to support sound files, but it didn't play the sound files I had in my picture directory. The help file didn't really say how to activate these sound (e.g., WAV) files either. Printing: You can only print a single full-size picture on a page. Other Comments: VuePrint's website release notes indicate that the program hasn't been updated in several years. It's badly outdated install/uninstall procedure supports this. It's also somewhat annoying that in the evaluation version, every picture has large "$" symbols (a watermark) superimposed on it. In many ways VuePrint Pro is one of the best slide show programs available. Unfortunately, it suffers from several serious shortcommings (e.g., installation, lack of recent support, thumbnail selection). Program Overview: The goal of XnView is To View and Convert Files. While it seems to be able to read/convert hundereds of different file formats, its ability to display them is somewhat limited. XnView has no installation program - you unzip to a directory and run the EXE file from there. Upon startup, you select a file directory of pictures. Picture Selection: A toolbar across the top of the screen lets you move to the next or previous picture. You can go to the first or last picture via a menu selection. Or, all four options can be invoked via the keypad. But there is no way to go to a specific picture. You can, however, under Tools|Options|Sort Directory specify the display order by name, date, type, or size (or the reverse of these). Pan and Zoom: Zooming is done via specifying a selection rectangle. Once zoomed, panning is done via the arrow keys - it can't be done via the mouse. An alternate way to zoom is to click on the tool bar magnifier icons. The zoom point is then referenced to mid-screen only. Picture Size: The picture appears within a window, which in turn is inside the application window. While you can make the picture window "full screen", once you do this you no longer can pan, zoom, or go to another picture - you can just return to the prior view. Slide Show: There is a separate "slide show" mode where each picture is fit to the entire screen. However, before entering this mode, you must first "build" a slide show by specifying individual picture files or picture file directories. Picture Selection: In Slide Show mode, only the up-arrow (next picture) and down-arrow (previous picture) selections are available. While XnView is a minimum-featured slide show program, it can handle an extremely wide variety of image formats. But surprisingly, it lacks an installation program.